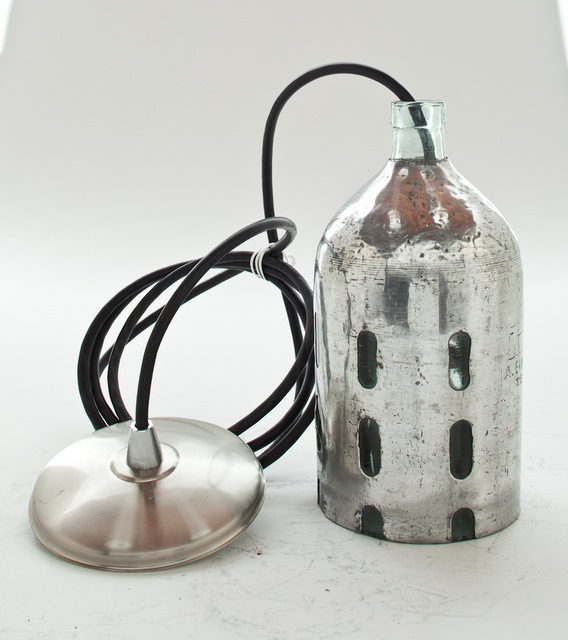 Russell Johnson’s vintage pendant lighting fixtures are cut from antique seltzer water bottles, lending them a unique flair. Dating back to the 1930s, these extraordinary pendants are both beautiful and functional, and are perfect for a variety of lighting applications from the living room to the kitchen. They also use low energy dimmable CFL bulbs. What an artistic way of Recycling! Russell Johnson's vintage pendant lighting fixtures are cut from antique seltzer water bottles, lending them a unique flair. Dating back to the 1930s, these extraordinary pendants are both beautiful and functional, and are perfect for a variety of lighting applications from the living room to the kitchen. They also use low energy dimmable CFL bulbs.